About Milwaukee’s Festival City Symphony Support FCS. Donate Now. Thank you for considering a gift to Milwaukee’s oldest performing symphony orchestra. Your gift supports music education and helps Festival City Symphony extend the reach of classical music to everyone in the greater Milwaukee area. 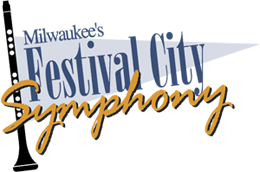 Festival City Symphony is a nonprofit 501(c)(3) organization. Thank you for supporting Festival City Symphony and the arts in southeastern Wisconsin.